You choose: stay at Miniloc Island, where you can do a lot of group activities (kayaking tours, picnics at the Big Lagoon, a place that will remind you of the film “The Blue Lagoon”…) or book an amazing beach villa for two in Pangulasian Island. Upon landing at El Nido’s small airport, you will see a sign with rules on protecting the area’s biodiversity. “Take nothing but pictures, leave nothing but footprints, take nothing but memories, kill nothing but time.” The respect that Filipinos have for their environment is such that in El Nido Resorts, there is an Environmental Officer in each hotel in charge of animal and plant species, who teaches tourists on how to care for them. 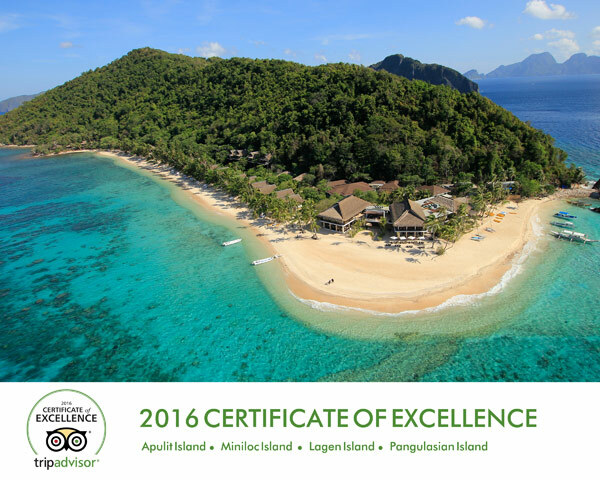 We are delighted to announce that all our properties namely, El Nido Cove Resort, Apulit, Miniloc, Lagen and Pangulasian Islands have just received TripAdvisor’s Certificate of Excellence Award for 2016. This highly coveted award is given to establishments that consistently achieve outstanding travel reviews on Trip Advisor – the leading customer review platform. 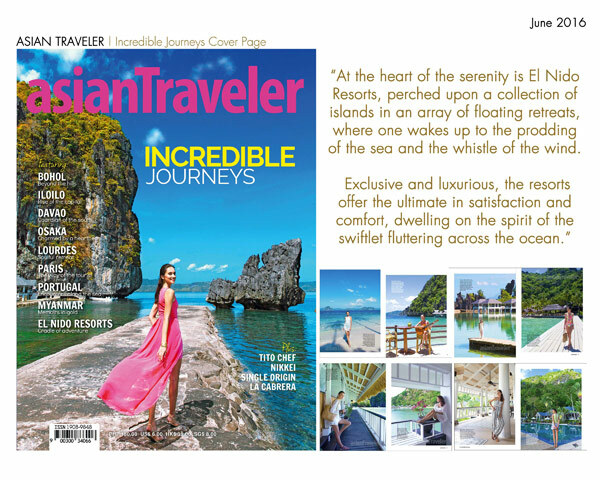 We are pleased to announce that Lagen and Miniloc islands were featured on Asian Traveler Magazine. 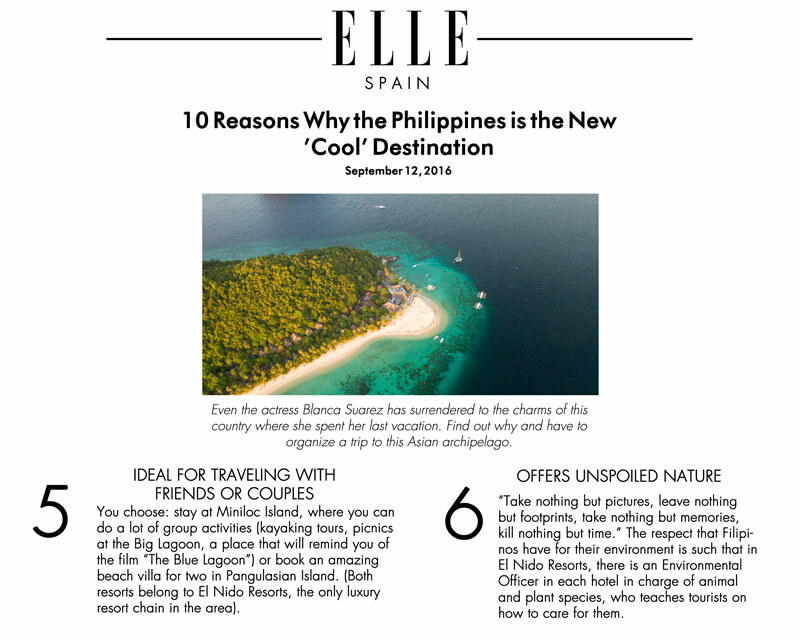 Photos taken by a renowned photographer and a frequent El Nido Resorts guest, Mr. Raymund Isaac.